Do not let the cure become the cause. 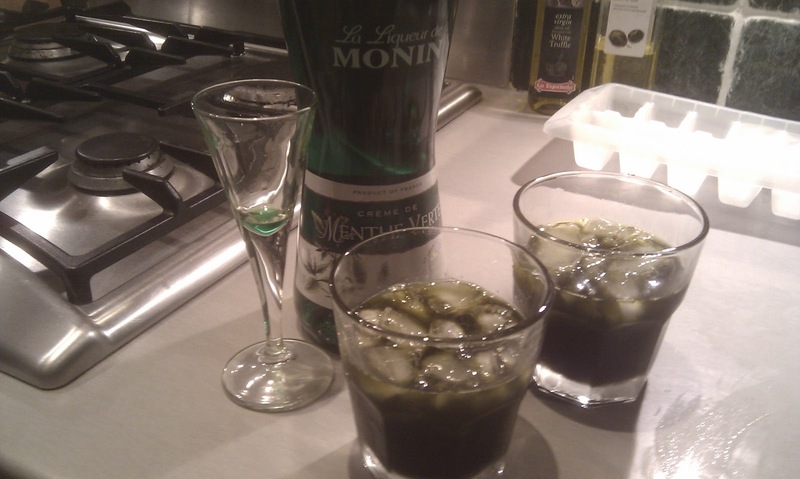 Creme de menthe – complete. 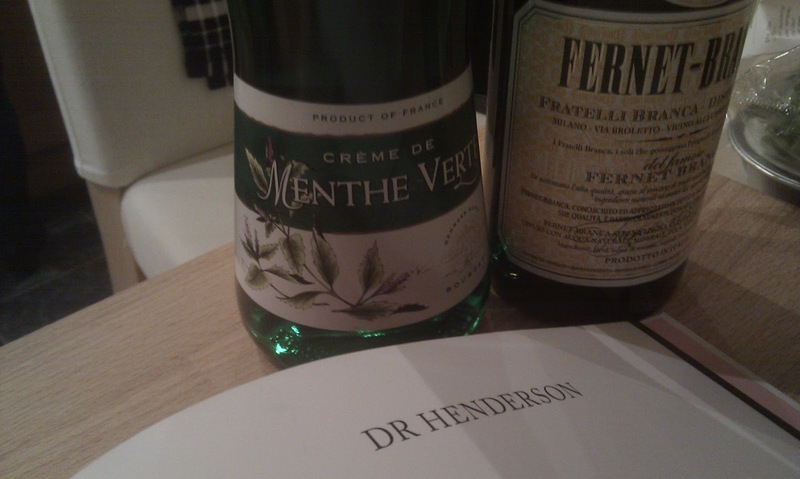 A constituent part of the cocktail ‘Dr Henderson’ – created by Fergus Henderson of St John. The cocktail is supposedly a cure for any over indulgence. Mix together and drink. Do not be put off by the colour. Nonetheless – at least it is now crossed off the list.